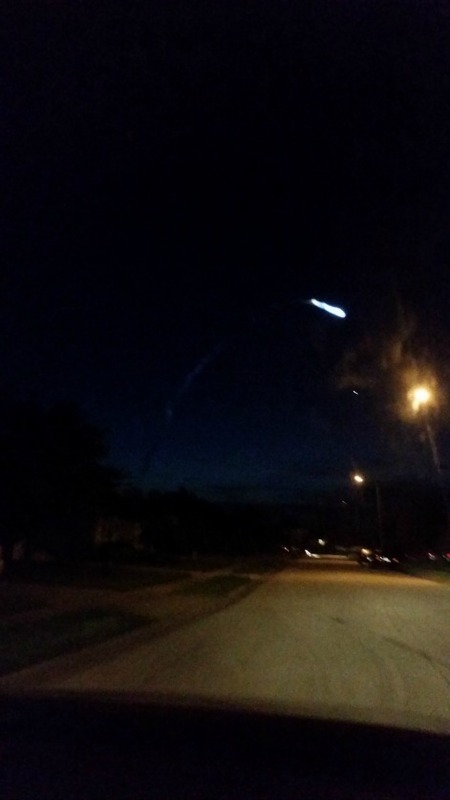 Tampa, Florida - 9/2/2015: Standing at work with another coworker when the coworker saw something in the sky. I tried to take a video but I was not quick enough, but I did get a few pics. This event was seen by about 10 or so other employees. It looked like what I have seen on YouTube it started with a narrow chemical like trail and it coned out then as if a secondary booster kick in and then it disappeared. 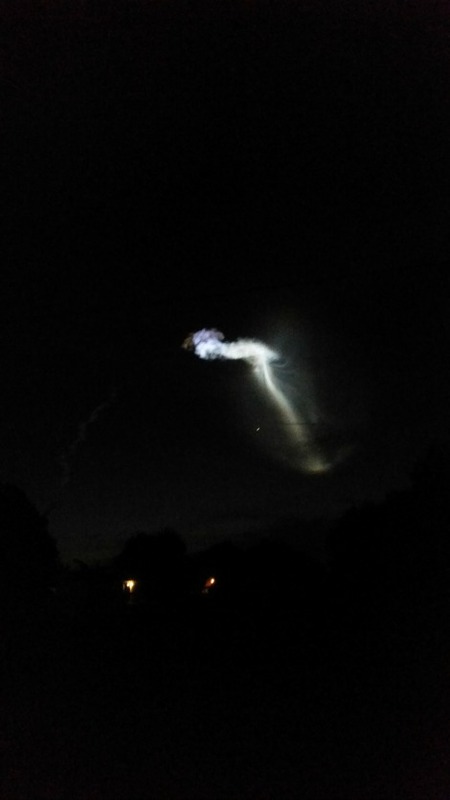 I took a picture of the Atlas V launch on 9/02/15 @ around 6:20 to 6:25 on my way to school in Kissimmee, Florida and I saw a flash of something reddish-orange after I saw the blue gases and that white light next to the top light post kept on moving around I will see if I find a video I took. swamp gas and wayward weather balloons.